All students at the Diamond Island campus will eat lunch at school inside the cafeteria. 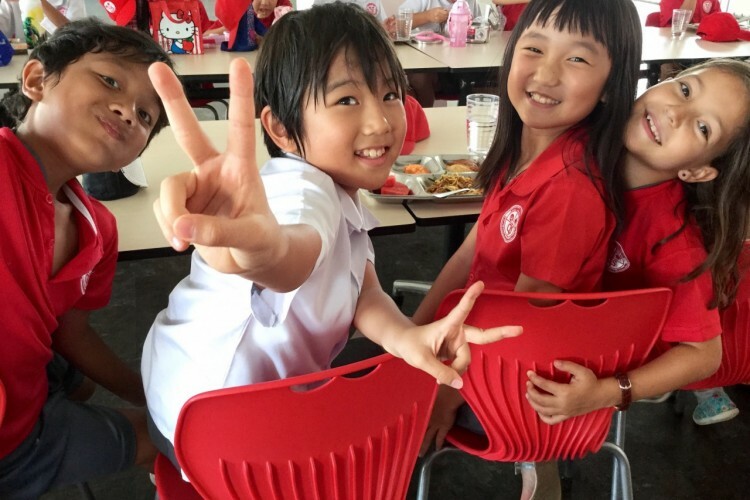 CIS collaborates with the Dara Airport Hotel Restaurant in Phnom Penh in order to provide hot and healthy lunches at school. All meals are cooked on-site and made fresh at our Diamond Island campus. Lunch meals will be available for purchase and an order form for choosing meals is provided for parents and students every month. The order forms are available at the front reception desk area at both campuses or available for download via email when you sign up for the CIS newsletters. CIS IS A NUT FREE ZONE. Parents are asked to refrain from sending peanuts (or other nut products) to school with their children. Some of our students have a severe allergic reaction to nuts.